All the residents (10,000+ people) of the Towns of Covert, Lodi, Ovid and Romulus will direct this project. M. Theresa Lahr and Cindy Cornelius, staff for the project, will work on behalf of the residents. This project is "resident-driven." A Steering Committee with representatives of all four Towns will help guide the project. STEPS Ovid Re-visioning report from Cornell University's Design Connect Team. 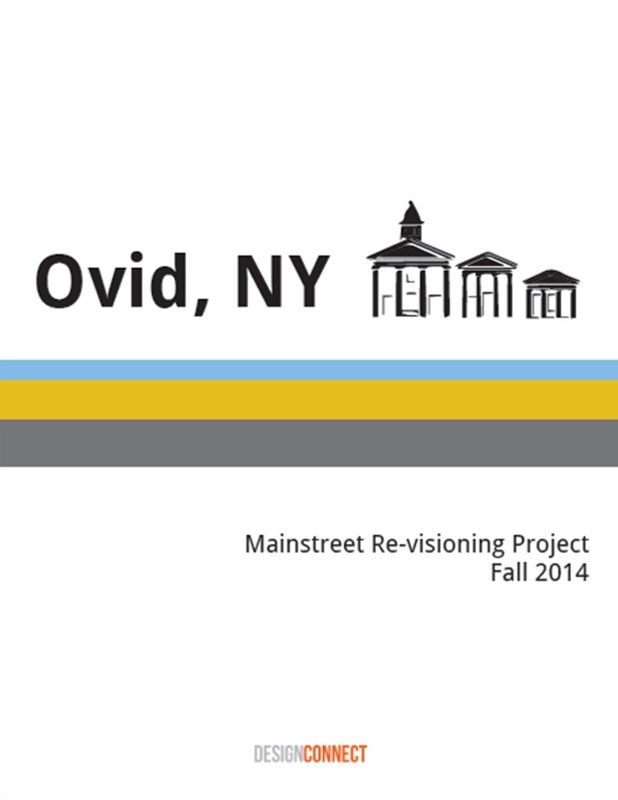 This project was a collaborative envisioning exercise between Seneca Towns Engaging in Solutions(STEPS), the people of the village of Ovid, and students from Cornell University working on a Design Connect Team. This project is possible because of a grant from the Greater Rochester Health Foundation (GRHF). The S2AY Rural Health Network (7 county public health departments, including Seneca) applied and received the grant from GRHF. If we do our work well, this will be a long-term commitment from the GRHF. This project is based on the premise that health is affected by the economy, education levels, employment/income, transportation, environment/housing conditions in the neighborhood. These factors are called the "social determinants" of health. Only about 10% of health status is determined by availability of health services. In other words, when it comes to health, where you live makes a difference. During year 1 we will be doing an assessment of the neighborhood assets and conducting a survey (take the survey here) of residents to determine our strengths and how you, our neighborhood residents would be willing to contribute. For volunteer opportunities available now click here. What are the assets or strengths to be identified in Phase I? All parts of the Towns of Covert, Lodi, Ovid and Romulus were chosen as the "neighborhood" for this project. Residents in this area will work together to make a better south Seneca County. We began Phase I (December 1, 2013- November 30, 2104) by identifying the assets of the residents and the assets of the area. Assets can be used to make changes in the community that will benefit residents. This is called Asset-Based Community Development (ABCD). By talking with as many groups of residents as possible and by surveying as many individual residents as possible, we will discover the strengths of the neighborhood that can help to develop the community and improve health outcomes of residents. Take the survey here. Additionally, all community members are invited to attend a monthly meeting of the STEPS project, and to join a committee that matches their interest. Healthy communities lead to healthier residents. If the community is strong and vital the residents are more apt to be healthy. The GRHF is funding this project through the S2AY Rural Health Network because they want to show that the health status of residents will, in fact, improve if the social determinants of health in their neighborhoods improve. Have a great idea? Each year the grant allows for five Resident Health Promotion Projects of up to $1,000 each. These grants are for ideas designed to make our community a better place to live. Applications are available from the staff. How do I get involved or learn more? There are opportunities for everyone to get involved. "What I Like In My Community"